Between all the amazing releases on Modeselektor’s 50 Weapons and the recent news about the highly anticipated Moderat 2 album, the German duo still have room for 1 more piece of work. 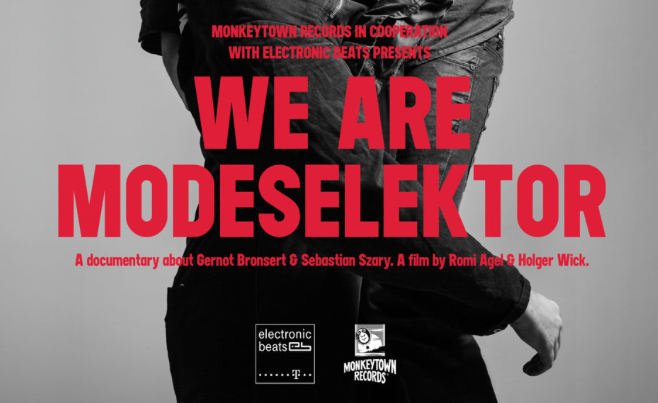 A feature length documentary film entitled ‘We Are Modeselektor’. Directed by filmmakers Holger Wick and Romi Agel and bills itself as “a post-German reunification movie, a travel report, and a portrait of the special friendship between Gernot Bronsert and Sebastian Szary all in one”. The film will see release on May 3 on DVD. A host of public screening have been announced across Europe, including a broadcast at the pair’s show at London’s Roundhouse in May – See below for dates.